The CYCA was founded in 1898. 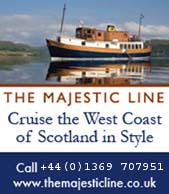 It is a non-profit organisation run by yachtsmen for yachtsmen and comprises constituent clubs, one-design class representatives and like-minded bodies on the Clyde and further afield on the west coast of Scotland. Clubs wishing to join the Association should contact the office, either by using our enquiry form or on 01436-673424 for further details. An annual subscription is payable other than for Associate Members. Classes wishing recognition as One Design must meet criteria set by the Association. The Association is RYA-affiliated and is represented on the council of RYA Scotland. 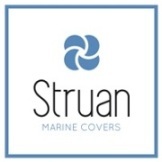 It is also a member of the Clyde Moorings Committee and participates in harbour authority Port Safety meetings on the Clyde, plus It contributes to Marine Planning and Tourism initiatives as these evolve. The CYCA is authorised to issue internationally-valid C-suffix sail numbers, and manages the CYCA Handicap System for monohull yachts. Preparation of the annual racing and muster calendar is coordinated by the CYCA with Constituent Clubs. In conjunction with the clubs, the Association also seeks to achieve consistency in Race Management practices reflecting local circumstances. The CYCA owns the Dragon Gold Cup and has a sub-committee which works with the International Dragon Association on organisation of the event. 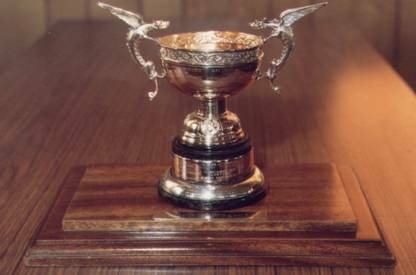 In 1937 the Clyde Yacht Clubs' Conference (which became the CYCA in 1968) donated the perpetual International Gold Cup in perpetuation of the good feeling which existed at the first International Clyde Fortnight in 1936. The Dragon Gold Cup is contested annually - see the International Dragon Association website for details. The name of “the Association” is THE CLYDE YACHT CLUBS’ ASSOCIATION. 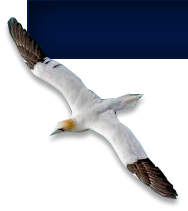 The Flag of the Association is five pale blue horizontal wave patterns on a dark blue background, with a white flying gannet superimposed in the centre. It may be flown by any Constituent Member Club, and by a present or past member of the Executive. The objects of the Association are to act on behalf of Constituent Members in the promotion, administration and dissemination of information regarding water-based activities, including interaction with all relevant bodies, without interfering with the individual functions of member clubs. Specific activities in pursuit of these objects are the management of C-series sail numbers and CYCA handicaps. The CYCA is all about you and the boating you do. So why not get in contact and let us know what’s important to you.